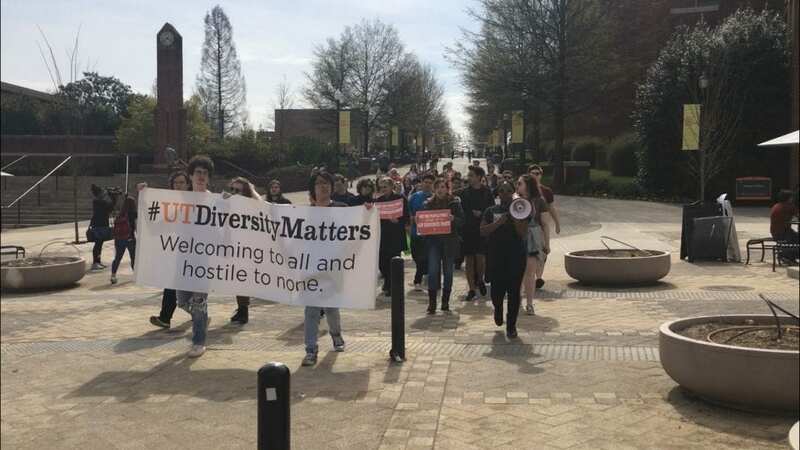 A diversity rally was held on March 29 with a goal to hold the University of Tennessee’s administration accountable for recent hate speech on campus. The students and staff present voiced determination in making UT a safe place for all Vols. The Knoxville campus has faced multiple incidents involving hate speech over the last year. In the fall semester of 2018, Swastikas were painted on the Rock after a Vigil was held for the Pittsburg shooting. This spring semester has brought what people are dubbing as the “Blackface Incident.” Students vocalized the need for change in response to the hate speech incidents, urging accountability from university administration. The rally itself was a collaboration of many groups on campus, including United Campus Workers, UTK’s chapter of American Association of University Professors (AAUP), UT Diversity Matters coalition, Sexual Empowerment and Awareness at Tennessee (SEAT) and other student groups. Speakers from each group talked through a megaphone to the crowd. Meg Henley from SEAT, Ben Lee from AAUP and other organizations spoke about how they stand by diversity. Representatives discussed recent events and the changes that need to happen and urged the crowd to stand up for themselves. What do students and faculty want to see from their administration? There were students and faculty that said they feel UT is making progress. 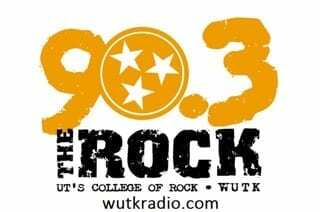 However, they believe there still needs to be more from UT than a simple apology. After this statement, the crowd cheered and clapped in recognition of the statement. That was the first listed demand and there were more, such as a call for an increase in representation and recruitment of African American students and staff. Finally, they said they want an apology and want students and faculty to feel safe with agreeing with these conditions. Banks believes the administration is taking steps forward. “One thing she [the poet] meant is that we feel like we are on edge all the time… They want to make us feel like we don’t belong…That’s what Blackface incidents are about, that’s what anti-Semitic graffiti and white supremacy are about…” Lee said. “I think she also meant that, though we feel like we’re on the edge and like we’re always losing, we’re also about to win. The administration is listening to us… and will make changes if we keep asking them to make changes,” Lee said. UT is attempting to implement new policies to campus. Students received an email shortly after the “Blackface incident” titled “Next Steps Moving Forward” from Interim Chancellor Wayne T. Davis. The email discussed staff training and student training on matters of “cultural competency.” They hope to begin training with orientation this summer and through next fall’s Welcome Week. In addition to the cultural competency training, the administration has also passed a General Education requirement that includes global citizenship courses.